If you have spend some time getting to know Microsoft’s newest operating system Windows 8 you have without doubt noticed the major differences to previous versions of Windows. The start screen is without doubt the most prominent change with its new environment to run specially created applications. The new nature of the start screen and other features of Windows 8 have brought along new keyboard shortcuts that you should know to speed up your workflow when you use the operating system. 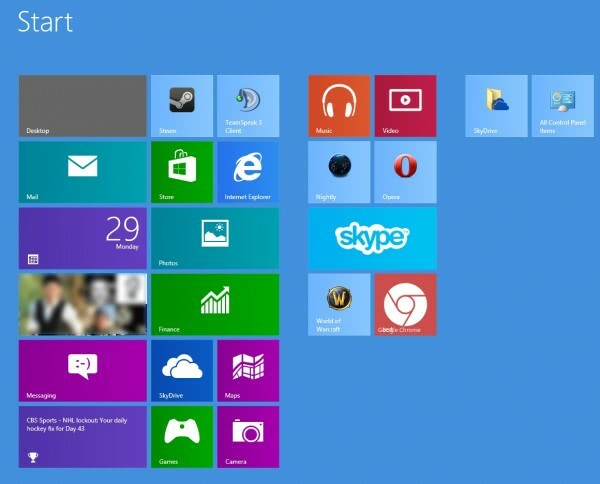 This guide looks at the top new Windows 8 shortcuts that you may find useful when working with the operating system. Please note that I’m concentrating on new shortcuts, not existing ones. I suggest you check out the top 20 keyboard shortcuts you should know for a broader list of shortcuts that you may find useful. Windows refers to the Windows key. When I write Windows-C, I mean that you need to press the Windows key and the C key on the keyboard to execute the shortcut. Windows: Switch between the start screen and the traditional desktop. Windows-C: This shortcut opens the new Charms Bar. It works both on the start screen and on the traditional desktop. Windows-X: Opens an advanced tools menu on the desktop in the location the start menu was located in. Windows-Q: Opens the Apps search menu on the start screen that you can use to search for applications and programs. Windows-I: Opens the Settings Charm. This works in both interfaces as well, and displays the settings of the selected item, e.g. an app or the start screen. Windows-F: Opens the File search menu on the start screen to search for files. Windows-K: Opens the devices charms menu. Windows-Z: Displays the App Bar when an application is running. The same effect can be triggered with a right-click. Windows-Ctrl-B: Open the program that is displaying a notification in the notification area. Windows-. : Moves the active application to the right so that it takes up 1/3 of the screen space. Windows-Shift-. : Moves the active application to the left where it takes up 1/3 of the screen. Windows-O: Lock the screen orientation. And that’s it. Did I miss a new screenshot that you think is essential when you are working with the Windows 8 operating system? Feel free to post it in the comments. From all the screenshots listed here, I find the Windows, Windows-Q and Windows-W shortcuts to be the most important ones.